We have a special time for our Resurrection Sunday Worship Service, 11:00 AM! Children’s Church and Nursery is provided. There will be a short time of fellowship available, with coffee and donut holes, immediately following the Service. 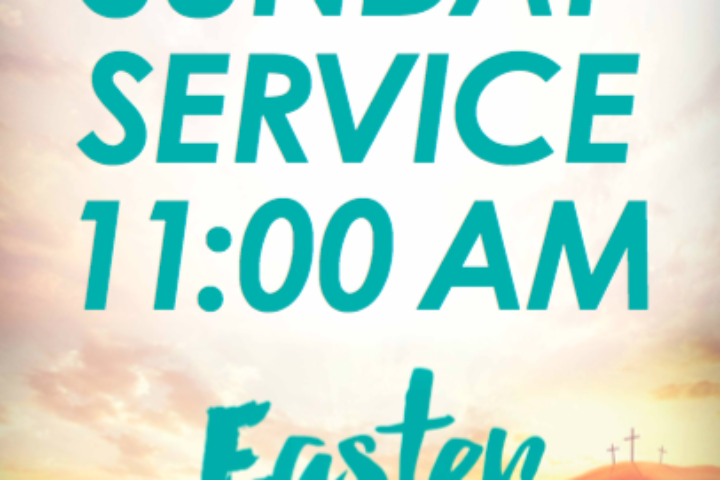 Our normal Sunday Worship time is 9:30 AM, but due to a service we will be holding at the Equinox Terrace Assisted Living Home on Easter Sunday at 9:45 AM, we are changing our Worship Service for Easter Sunday only to 11:00 AM.